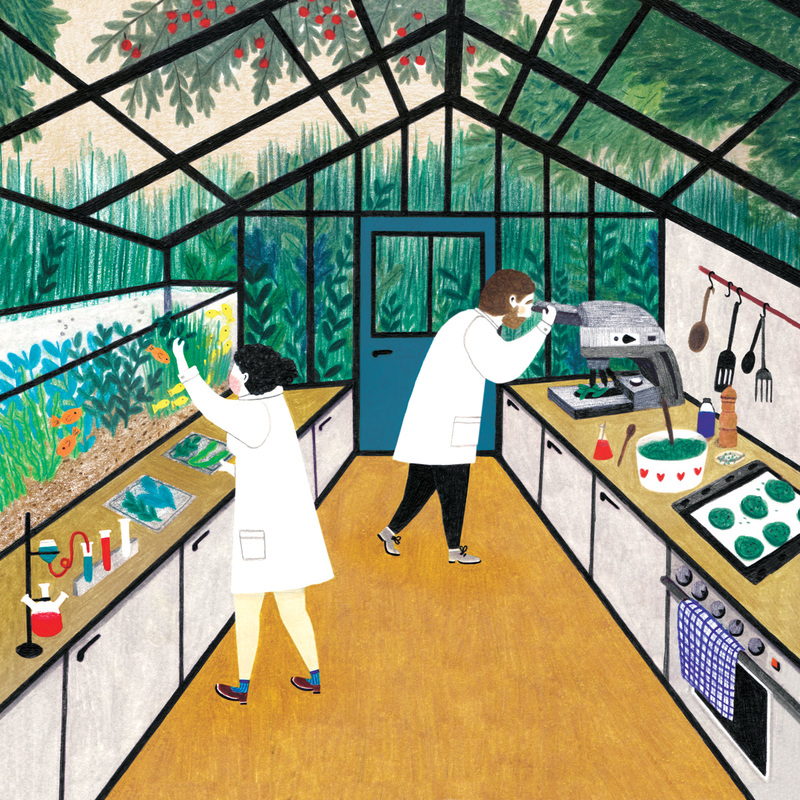 For Soho House magazine I made this illustration about the future of food. With climate change as a global concern, the need to combat both rising greenhouse gasses and food waste is driving the search for new ways of eating and new things to eat. These days we want our food to be healthy and good for the planet, too. Certain varieties like Dulse are known to be high in protein while algae is full of healthy omega-3 fatty acids, an alternative for those who don’t eat fish.